Since 2006, Venezuela has had the highest homicide rate in South America and one of the highest levels of gun violence in the world. Former president Hugo Chavez, who died in 2013, downplayed the extent of violent crime and emphasized rehabilitation. His successor, President Nicolas Maduro, has taken the opposite approach, declaring an all-out war on crime instead. What accounts for this drastic shift toward more punitive measures? In "Deadline", anthropologist Robert Samet answers this question by focusing on the relationship between populism, the press, and what he calls "the will to security". 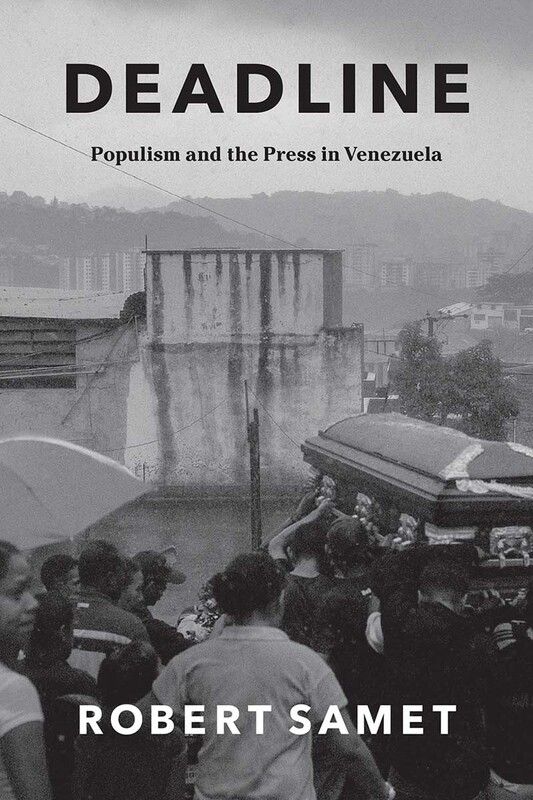 Drawing on nearly a decade of ethnographic research alongside journalists on the Caracas crime beat, he shows how media shaped the politics of security from the ground up. Paradoxically, Venezuela's punitive turn was not the product of dictatorship, but rather an outgrowth of practices and institutions normally associated with democracy. Samet reckons with this seeming contradiction by exploring the circulation of extra-legal denuncias ("accusations") by crime journalists, editors, sources, and audiences. Denuncias are public shamings, which, instead of targeting individuals, channel popular anger against the perceived failures of ruling governments. A well-timed denuncia has the power to topple regimes and create the conditions of possibility for revolution".Deadline" is a carefully woven story about the relationship between the press, popular outrage, and the politics of security in the twenty-first century. Robert Samet is assistant professor of anthropology at Union College in New York.